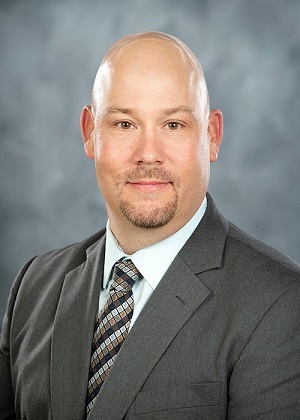 Darrin Dodds, professor and Extension cotton specialist at Mississippi State University, is the new head of the university’s Department of Plant and Soil Sciences. Dodds, a 12-year veteran of the department, takes the helm April 1. A native of Rushville, IL, Dodds is well respected throughout the Mid-South for his teaching, research and outreach programs in cotton physiology. In 2016, he was awarded the Dr. J. Tom Cothren Outstanding Young Physiologist Award by the National Cotton Council and its partners. As a cotton specialist with the MSU Extension Service, Dodds has been a featured presenter at more than 100 producer meetings. He co-organizes the Row-Crop Short Course, which brought nearly 800 agricultural professionals to the MSU campus in 2018. Dodds earned his bachelor’s degree in agriculture from Western Illinois University, a master’s degree in botany and plant pathology at Purdue University, and doctoral degree in agricultural science from MSU. The Department of Plant and Soil Sciences includes faculty and staff with appointments in the College of Agriculture and Life Sciences, Mississippi Agricultural and Forestry Experiment Station, and the MSU Extension Service. Numerous faculty in the department are located off-campus at one of the four research and Extension centers and the 16 branch experiment stations throughout the state.